The hunt for just the right Valentine's gift is never easy. When it comes to chocolate your local See's Candies always has a great selection, but if you are looking for something more personalized, you have to dig deeper than that. Here are six chocolate gifts your loved one is sure to remember. The name of this box says it all. The Unconditional Love box is for the risk taker, as each color is a white chocolate confection your beloved has probably never had before. Soft passion fruit caramel, infused with cardamom. Crushed, toasted macadamia nuts blended with white chocolate and ginger. White chocolate ganache with Japanese matcha green tea and a splash of Poire Willams pear puree. You get the idea. Perfect for the adventurous chocolate lover. The Unconditional Love box is $44 from plumalley.com. Dan's Chocolates are a fine choice for the candy alone. But what makes this box extra special is how you can customize it. 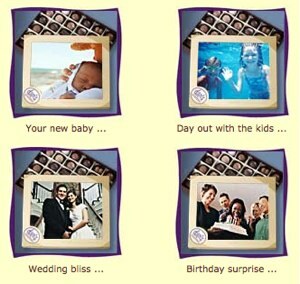 Find your favorite picture (or shoot a new one), upload it to their site and they will ship the box with your photo as the cover. 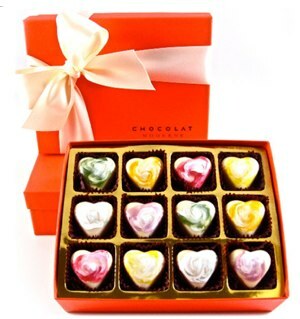 Dan's also specializes in Valentine's truffles and other custom boxes, as well as sugar-free options. 1/4 lb. boxes start at $25 from danschocolates.com. This is exactly as decadent and wonderful as it sounds. 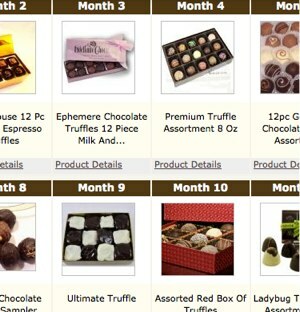 Every month for the next 3-12 months, your loved one will receive a new box of chocolate confections to enjoy. You can select the theme of the gifts to suit your beloved: truffles, big snacker, dark chocolate, all kosher, comfort food and more. Or you can customize each month's delivery. Prices vary according to theme and number of months you want the delivery to continue, but expect to pay at least $100 to get started. Details at chocolate.com. How do you surprise your socially-conscious loved one on holidays that seemed geared towards mass consumption of cheaply made goods? By making sure they fall under Fair Trade practices. These guidelines ensure that the grower of the product is fairly compensated and not exploited. The cocoa farmers of Divine Chocolate's products not only get Fair Trade rates from Divine, they also own 45% of the company! Though Divine isn't offering a traditional Valentine's Chocolate box, you can always use their Dark and Milk Chocolate Hearts sprinkled around the table of a home-cooked Valentine's meal or build your own heart-shaped box for them. Out of recycled materials, of course. 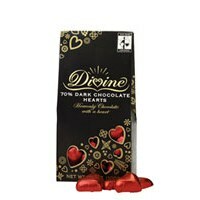 Dark and Milk Chocolates are $7 a bag at divinechocolateusa.com. Keeping the spark alive in a relationship takes work, and what better way to show your playful side than fortune cookies? That is, milk-chocolate covered fortune cookies each with its own romance-flavored message. Examples include, "Your love life is about to take a turn for the interesting." and "Love makes your world go 'round this week, but romance ensures a scenic trip." 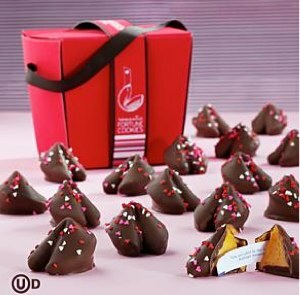 Red Envelope is offering a dozen chocolate-covered, individually-wrapped fortune cookies in a red container. If you've ever been to an M&M store, you'll know these candied chocolates come in more colors than you can count. And this includes Valentine's Day red, pink and white candies. If you have an M&M lover in the house, you can surprise him or her with a gift box containing three bags of these holiday-colored goodies. You can personalize the gift further by ordering special words or images to be printed on the M&Ms, like candy hearts or even a photo of your smiling face. 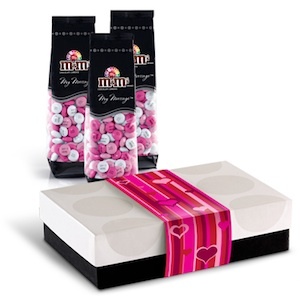 M&M's Romance Gift Box starts at $35 at mymms.com. Whether your sweetheart has a sweet tooth or just adores a thoughtful gift, we hope you've found a unique chocolate to make this holiday memorable.